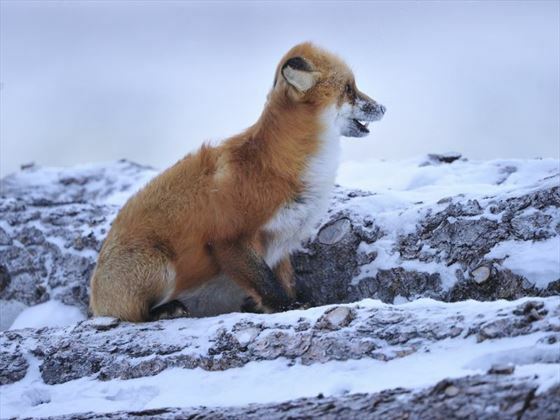 Wildly rugged and remote - this tundra coastal Lodge provides the discerning photographer the ability to dedicate long days in the field getting up close and personal with Arctic wildlife. 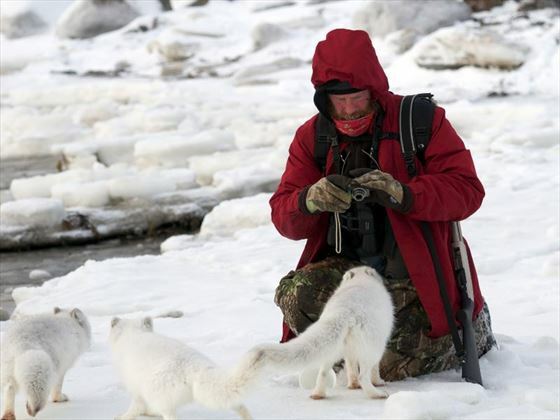 Ground level photo opportunities are offered for Arctic wildlife, including polar bears, in a pristine untrammelled wilderness setting in the heart of polar bear country. 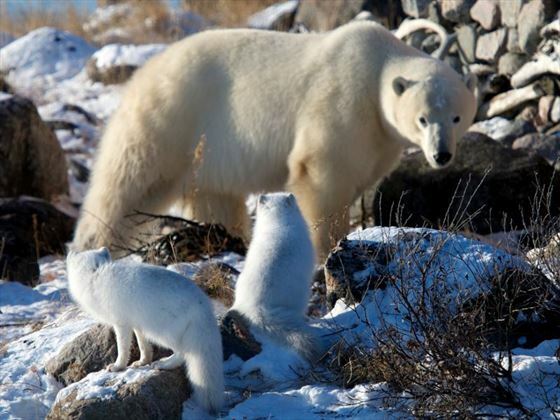 Polar bears, caribou, and Arctic fox in a backdrop of stunning sea and landscapes. 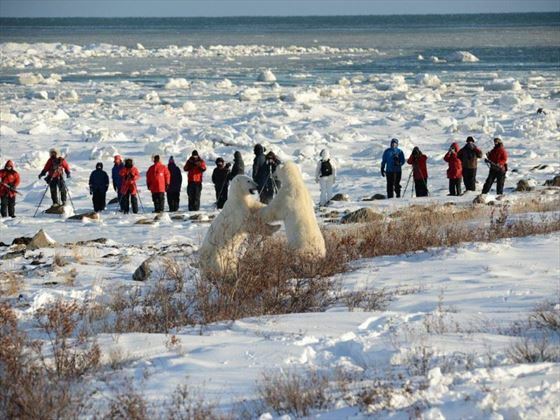 The Lodge's shoreline location is ideal for photographing bears on ice and snow. 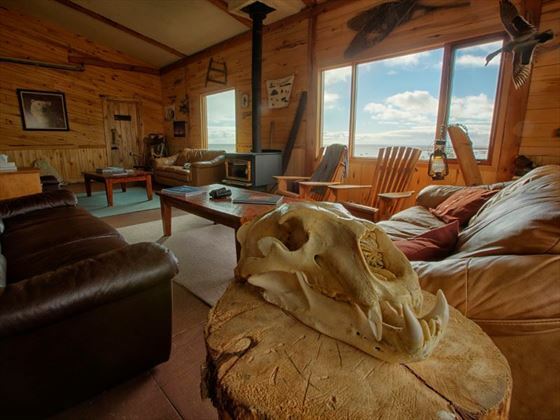 Your journey of exploration and adventure will take place at Seal River Heritage Lodge - one of the first remote Eco-Lodges on the Hudson Bay coast, in the heart of polar bear country. Fly to Winnipeg, where you will check into our hotel - the Four Points Sheraton at the Winnipeg Airport. At 7:00 p.m. a dinner will be held at the hotel where you will meet your group and your adventure specialist. There will also be a mandatory gear check this evening, so we recommend renting the specialist gear needed for this adventure. You'll need your rest tonight before your early morning departure to Churchill. 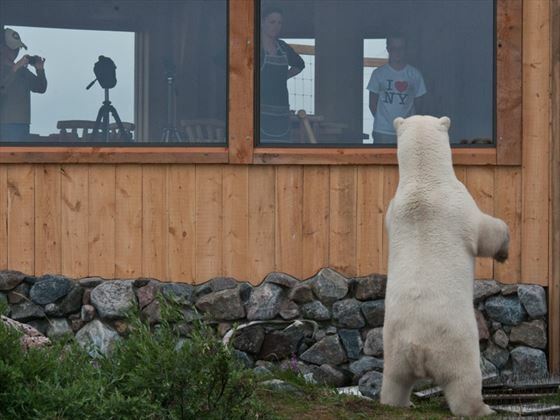 Seal River Heritage Lodge is in a wildly rugged and remote location catering to the dedicated wildlife photographer willing to spend long hours in the field getting up close and personal with the Arctic wildlife. 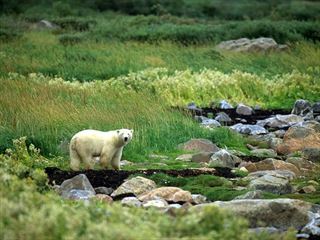 Ground level photo opportunities are offered for arctic wildlife including polar bears in a pristine wilderness setting. 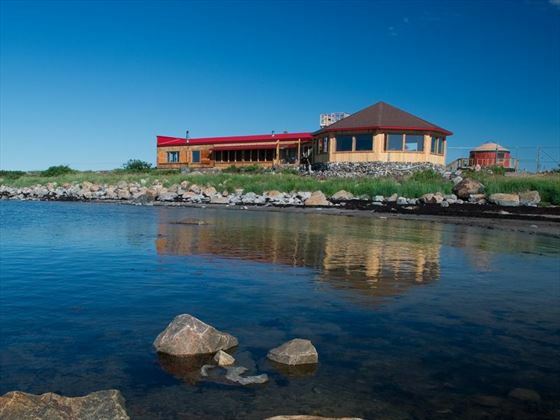 Your photos will have stunning backdrops with the sea and or landscapes surrounding the Lodge. 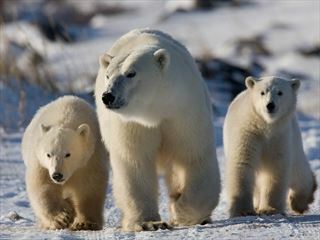 Its shoreline location is ideal for photographing bears on snow and ice. 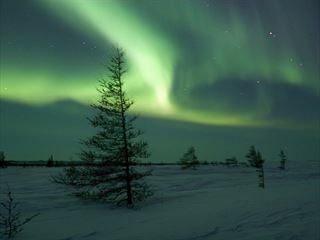 You may even enjoy a clear night for northern lights photography. Meal service times will be adjusted to accommodate photo opportunities which are the priority so expect many a meal to be interrupted. Generally breakfast is served at 8:00 a.m., lunch as required; with appetizers at 6:00 p.m. followed by dinner at 7:00 p.m. Evenings are spent near the fireplace downloading images, sharing the day's adventures, or taking in an informative lecture or slide show. Bedtime is at your leisure. The entire Lodge area is patrolled for polar bears all night by night watchmen so be prepared to have your sleep cut short by a nocturnal visit by one of the Great Ice Bears (or perhaps a dazzling display of northern lights). After another hearty breakfast and it’s time to pack for the flight back to Churchill, say good-byes and snap a few more pictures. After another exciting aerial tour, you'll arrive in Churchill where your bags will be stored for you until your flight back to Winnipeg later in the day. 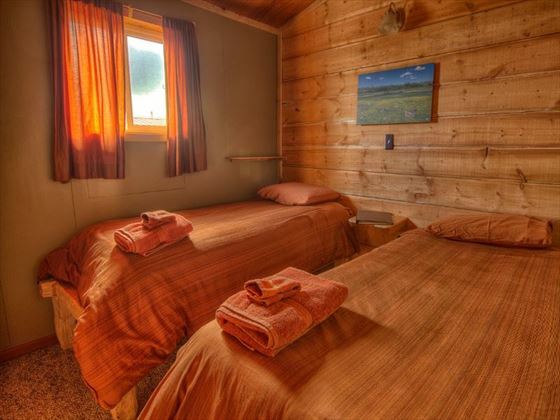 You are then free to explore and wine & dine in this frontier community at your leisure. 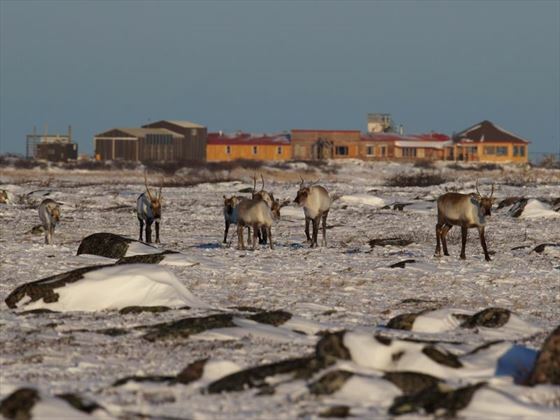 Local places to visit include Cape Merry, the Port of Churchill, the Eskimo Museum, as well as the Parks Canada exhibit which are all of great interest. Dog sledding and helicopter charters can also be arranged for this afternoon. Tonight you will need to plan an early dinner, and you can choose from a variety of restaurants. After dinner you will meet up an expeditor and transfer to the airport in preparation for your flight back to Winnipeg. Upon your arrival into Winnipeg you will check back into the Four Points Sheraton at the Winnipeg Airport for the night.